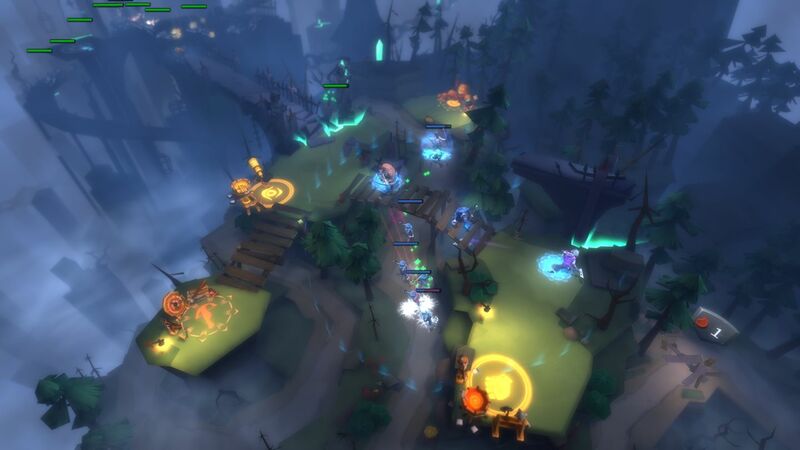 The Tower-Defense genre: A genre in need of a revival. Even though it might seem like there’s not much you can do with stationary units and the usual one single path, there are tower-defense games out there that sought to defy what is expected. Defense Grid 2 comes to mind as being the benchmark, although the genre’s rotting parts lie in its rudimentary and admittedly boring gameplay and pacing. 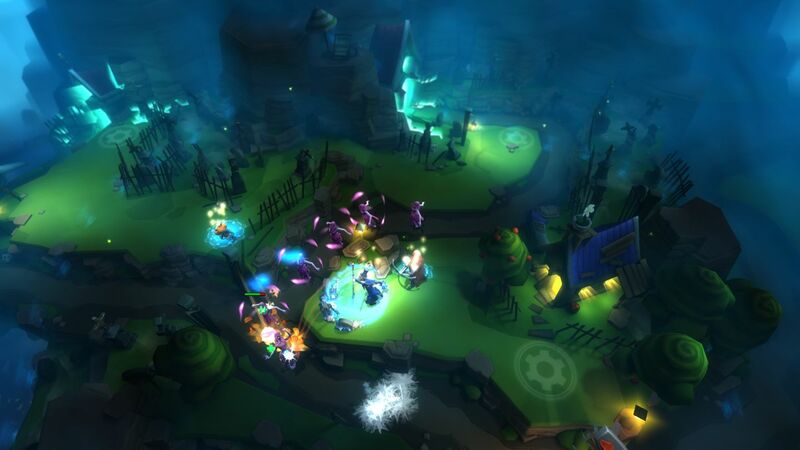 Thankfully, Hero Defense is here to bring the genre back to its former glory. This right here is an ambitious mesh of tower-defense, MOBA-based mechanics and RPG-style progression that comes to us from Happy Tuesday, along with being published by Headup Games. Happy Tuesday appear to be a studio mainly helping out mobile game companies, whereas Headup Games have a prolific history of creating multiple titles of varying genres. The only thing left to see is if Hero Defense is on the Slime-San side of glory, or the Super Blackjack Battle II side of failure? You control a team of five heroes, diametric opposites in personalities, but they make a pretty good team when it comes to defeating the undead. 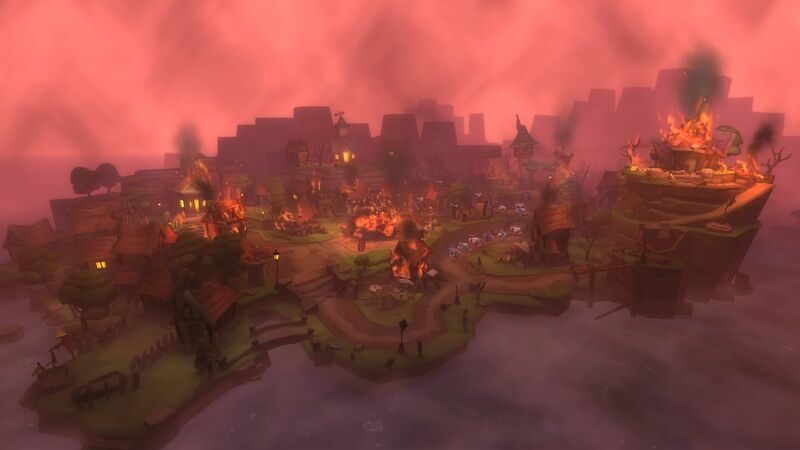 Jack Sanders is the ring-leader, and he’s come to protect this town of, err… Cityville, from his father Count Necrosis, known as the most powerful vampire in the world. 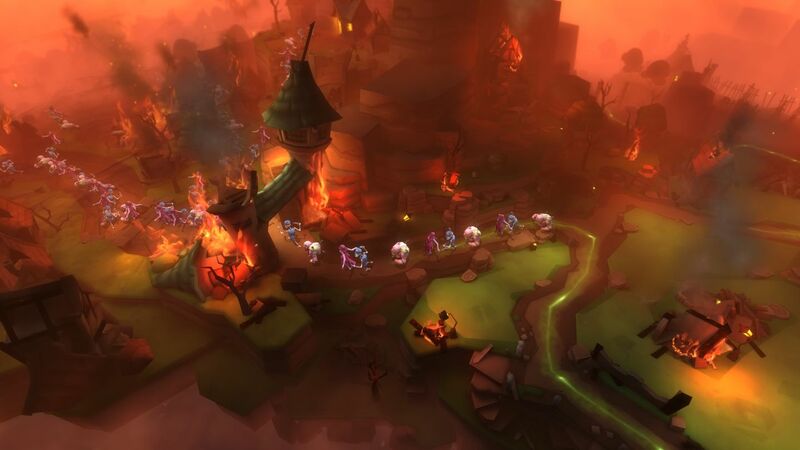 With a band of ruthless soldiers behind him, Jack and the gang go to take on Necrosis and his seemingly endless hordes. The core of Hero Defense is generic in its approach, but the gameplay is exceptionally deep with what it offers. You have your heroes, you have a predetermined set of monsters ready to run through the gates unless you stop them, and you have five lives before they fully break the gates and it’s game over. If a boss arrives and manages to get through the gate however? Instant game over, regardless of how flawless you’ve been playing beforehand. The starting heroes you’ll own from the get-go, Jack Sanders and gravekeeper Barrows, offer two different roles in gameplay: Attack and Support, respectively. All five of your guys ‘n’ gals can be placed anywhere on the map that’s within a highlighted yellow square, and it’s down to you to see where the best choke points and feeding spots are. As you progress, the fire bomb-wielding Sam Hain, the femme fatale Jane Doe, and the visceral bruiser Wylde join the team, giving you this diverse team of… not really being diverse. While Sanders and Barrows might show a promising journey, the other three that join the team are just re-skins of Sanders, both in damage and lethality. The differences lie in which heroes can call the monsters they’re known for killing. Sanders does well against vampires, Barrows does well against zombies, etc. In truth, this implementation of heroes only working well against specific monsters comes off as transparent, especially when attack power is nerfed hugely against monsters that aren’t their specialty. I understand why they’re doing it, but there are much better ways to execute it, and the way Happy Tuesday have gone about doing it here doesn’t work. One thing that can also prove frustrating in this use of MOBA elements in a fully 3D landscape. Your characters aren’t necessarily rooted to the ground, for the most part, you always have to keep them shifting across the map’s paths in order to find the best places to attack from. The biggest problem that comes from this is that a lot of rocks, buildings and hills can get in the way of gameplay, meaning you’re not sure if your attacks are reaching the circle. With that said, the game can still be manageable, thanks to how deep Happy Tuesday have implemented the mechanics. You can level up your characters in an admittedly railroaded fashion, and the leveling up found within the gameplay can be managed with what level 2, 3, 4 etc. can offer. Maybe Jane Doe will increase her range with level 2, or maybe she’ll be able to pillage gold, that sort of thing. Regardless of what your team could do, this experimentation is necessary for how hard Hero Defense gets later on. As soon as the tutorial on general gameplay ends, the gloves are off, you’re suddenly thrown into the heat of combat without a second thought. You know what’s coming, but good Lord, the ways these monsters attack, along with the unexplained bonuses they have attached to them sometimes? Christ, it’s like an eight-year old having their training wheels taken off of their Suzuki Hayabusa. Part of the problem comes from the map design, which is not only hampered by 3D visuals obscuring the paths (a cardinal sin of tower-defense titles), but the levels are designed to be as maze-like as possible. Level 10 showcases this poor design the most, with there being three paths, one of them on the other side of the map, not even connecting with the other two. Anytime you need a hero over there, you need to compensate for how much ground the monsters will cover beforehand. There are ideas that can help you stop as many monsters from coming through the gates as possible, like the pause mechanic. Given that this is a mixture of both tower-defense and real-time combat, you’re allowed to move and position your heroes wherever, all the while the monster paths stay still. It’s a nice addition, but it still means you have to wait for them to get over there, and by the time they’ve arrived, the beasts are already using the town as a hangout spot. What this leads into are multiple instances where the next level will kick your arse, and so you’ll have to go back to later levels in order to gain more levels and gold to upgrade your town. It’s a formula that existed already, in titles like the Sky Force series, and the stilted progression of Sacred 3, and it’s a formula that never works, at least for me. If a game wants this sort of progression system, the game needs to be more free-flowing, it needs more challenges, not just “do the same levels, but harder!”. Variety is the spice of life, not repetition. Alternatively, you can say “bugger all that!”, and choose to do easier levels at the easiest difficulty. It’s not going to get you a lot of XP or gold, but hey, it’s a stress-free option, especially once your team is fully decked-out. It also gives you ideas for when you tackle the maps harder difficulties in the future, as you’ll notice little spots and places where “cheesing” can take place, and where the best places for Shrines are. Let’s talk about Shrines real quick, actually. Dotted around the map are three or four cog symbols where you can place down Shrines that can either boost one specific hero or others that grant bonuses to characters while staying interchangeable. It’s a neat idea, although the only way you can make these Shrines is via Gems, a premium currency, which– Hey, wait a minute! A premium currency? A sudden severe difficulty spike after the tutorial? Developed by a company who have helped multiple mobile game companies? Why these are all the hallmarks of a “freemium” game! Honestly, once the idea comes into play, you can’t get it out of your head, it’s like the glasses in They Live, except they’re showing you bad game design. It’s a mere theory, but it feels like, at one point, Hero Defense was designed to be a free-to-play game with free-to-play elements, although the idea was scrapped during development. It’s not something that hurts the credibility of the game, but it does bring to light how the game’s structure doesn’t feel right. The exorbitant exchange rates for changing gold to Gems, the unbelievable price jumps for upgrades to the hub town, the insane prices for card packs that can drop rare level-up bonuses. From the beginning, something about the core of Hero Defense is covered up, and it only becomes more apparent over time. The game’s closest breaking point was against the 4th boss, “Redfang Wrathborn”. A stupidly fast werewolf, he and all of the other bosses only gimmick is to spawn more monsters so that the heroes will target the monsters instead of them. It’s a pathetic cop-out, and it’s not something that can be remedied, even with all of the useless handouts the game gives you. The consumable items that are supposed to make the monsters weaker, only serve to provide nothing but a flashy explosion. Everything from the ice bombs, to the confusion bomb that causes the mobs to run away, all of them fail to actually hit the enemies, even when they’re in the blast area. I don’t get it, how does the hit detection of a tower-defense not work? There’s also no co-op or multiplayer, confusingly. It does make sense for the game not to include it, as sharing five heroes between two people would be a mess, especially if one of you gets Jane Doe and Barrows. However, a counter-operative mode a la Perfect Dark? How cool would that be? The final straws – at least for me – came when after the game deleted my progress twice, I was treated to the second-last level being an endurance test of 65 waves. Littered with bosses, if any of said bosses go through the barricades, it’s an instant game over. After wasting an hour and reaching the 62nd wave, Necrosis spawned a boss from a random vampire at full health, despite the vampire itself being one hit away from death. It swarmed the gates instantly. No, I’m done wasting my time with such a poorly thought-out design choice. Hero Defense is a brave game, both in its design and its intentions. You’ve got a free-to-play experience masquerading as a full-on paid game for 30 dollars, and unfortunately, there’s not a lot that justifies a 30-dollar price tag. There’s decent gameplay attached to it all, sure, but the drab visual presentation, the lack of variety or different levels, the archaic difficulty spikes; it all adds up to a game that needs more polish or a rework.